MANY THANKS TO THE BENICIA HERALD for its detailed coverage of Valero’s presentation earlier this week on its Crude-by-Rail Project. Donna Beth Weilenman’s lengthy report presented the very best in understanding Valero’s message. I was somewhat disappointed, however. A small but growing segment of Benicia residents and business owners attended Valero’s meeting, offering a peaceful presence and an alternative view on crude by rail. Other news sources, including a nearby newspaper, two TV stations, two radio stations and a couple of blogs included references to the strong public opposition to Valero’s proposal at that meeting. Ms. Weilenman’s report virtually ignored the public’s input on that night. Benicians need to hear Valero’s point of view, but a variety of voices made “news” at the actual event, and folks need to know about that as well. 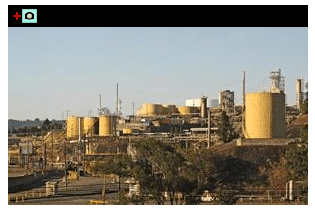 The residents and businesses of Benicia have been waiting since last July for Valero to present its facts and to sell its proposal to bring North American crude oil by railroad tank car into our community. We can expect highly financed and professional messaging to promote their plan. Thanks to a recent paid ad in a local magazine and this week’s community meeting, we now know how Valero will focus our attention — and in some cases, misdirect our legitimate concerns. We learned at this meeting, finally, that Valero clearly does not rule out importing train cars full of highly volatile Bakken crude oil and the world’s dirtiest crude from the tar sands of Canada. After its presentation, when Valero opened the meeting for questions and answers, I must admit that I was surprised by the preponderance of questions expressing deep concern for the health and safety of Benicia. Well over 80 percent of the questions asked were cautiously skeptical and highly concerned about safety and the environment. I took notes on each of the approximately 24 questions asked, with the following results: Nine were about emergency spills and explosions, four were about the source and crude oil content of Valero’s rail shipments, two were about failure-prone DOT-111 tank cars, and one each concerned train routing, traffic in the Industrial Park and permitting of the proposed project. Following each question, a panel member or representative of Valero or Union Pacific gave a brief answer. Many in attendance, including myself, felt that some of the answers were almost glib, and all were calculated to smooth over every public concern. We were assured over and over again that Valero’s excellent safety record, thorough planning, and yet-to-be passed new federal and state regulations would protect us from a catastrophic spill or explosion. This in the face of recent news reports on the massive increase in crude-by-rail shipments and the inevitable skyrocketing numbers of horrific explosions and spills over the last year. We were assured over and over again that no additional or adverse pollution would result, supposedly because trains give off fewer emissions than ships. This totally ignores easily available background on the environmentally destructive methods of crude oil extraction in the Bakken region of North Dakota and tar sands mining in Canada, and the excessive corrosive effects and additional toxic emissions when refining extreme crudes. No one asked Valero at this meeting to address the 100 connect-disconnect operations every day on tank cars as opposed to a single connect-disconnect of a docked ship once a week. How will these repetitive operations add to what are known as “fugitive emissions,” not to mention a massive increase in risk for spills and accidents? I usually call myself a liberal. In this instance, I am a deeply conserving skeptic. Please, Valero — I know that you work for Texas executives who guide your actions here, but as you mentioned at your meeting this week, 50 percent of your management and more than 100 Valero employees live here in Benicia. You are our neighbors. Please help us protect our lives and our city, and stand with us on behalf of communities uprail and downwind of Benicia. Ask Valero’s Texas executives to rethink their strategies for the future of energy production. Valero could lead the way in the oil industry. Everyone knows that refining of crude oil is a dying enterprise. In the next 50 years Valero will need to retool to produce energy in cleaner and safer ways. There is no need to grasp at the last, most dirty and dangerous barrels of crude to make a quick buck. Listen to concerned Benicians and folks from communities uprail and downwind of here — stop the Crude-by-Rail Project. More information is available at SafeBenicia.org and BeniciaIndependent.com. Roger Straw is a Benicia resident [and editor of The Benicia Independent]. Benicia – Valero Energy Corp. could use a new rail terminal it plans to build at its San Francisco Bay Area refinery to process highly flammable Bakken crude from Montana. Valero Energy Corp. could use a new rail terminal it plans to build at its San Francisco Bay Area refinery to process highly flammable Bakken crude from Montana. Valero conceded that possibility for the first time Monday at a community meeting called by the city-sponsored Valero Community Advisory Panel, according to San Francisco television station KPIX. “If Bakken crude is one of the crudes that’s available by rail, it’s possible that it could make its way to our plant,” Valero spokesman Chris Howe told KPIX reporter Christin Ayers at Monday’s meeting. Valero had previous said only that it wanted to begin bringing in crude oil by train to add to the resources available to its refinery in Benicia, Calif., on the shore of Suisun Bay. Valero’s Don Couffle also told KPIX that the refinery also could choose to bring in oil derived from Canadian tar sands, similar to the fuel that leveled a major part of a Canadian coastal town last year, killing 47 people. “Crude oil that’s derived from tar sands may be a candidate if it fits our profile,” Couffle said. The refinery already brings in more than 100,000 barrels of crude daily by ship and pipeline. Valero proposed the rail facility last year but the city, which must decide whether to allow it, required the company to prepare an extensive environmental impact report before it could be approved. In theory, the project still could be derailed it the report uncovers unanticipated negative environmental consequences. But Valero’s proposal has stirred up considerable outrage in the small, historic community, where project opponents have organized meetings of their own and threatened protests. Nearly 200 residents jammed Monday night’s meeting at a union hall less than a half-mile from the refinery. Several attendees spoke in favor of the rail project, which has been projected to add 20 permanent jobs to the refinery’s workforce and as many as 100 temporary jobs while the facilities are constructed. Company officials presented the project to the audience and then answered questions from attendees. Valero said shipments of up to 100 tanks cars filled with crude oil every day would not affect air quality, and that all safety standards would be met. The additional oil by rail would not increase refinery production, the company said, because it would merely replace crude currently brought by ship. “It would not increase crude delivery, just make it more flexible,” said John Hill, the refinery’s vice president and general manager. But many local residents and newly formed community groups complain that the rail shipments added an extra layer of danger to the community. Benicians for a Safe and Healthy Community said Canadian tar sands oil was more polluting than other crudes. “They’re just pushing through the project,” said the group’s Jan Cox-Golovich, a community activist and former city councilwoman. “Have some respect for the community,” she said. The draft environmental impact report is expected to be released next month, after which Valero plans to host another public meeting, KPIX said.